This learning plan covers eye conditions that GPs and other healthcare professionals may encounter in primary care, including eye pain, blurred vision, strabismus in childhood and conjunctivitis. Each educational activity provides key learning points and a post-test so you can check what you have learned. You can undertake the whole plan or select individual modules to meet your learning needs. CPD credits can be claimed on each module. Dr Pipin Singh provides an overview of the red flags in patients with blurred vision. Key learning points for healthcare professionals include possible causes, questions to ask, suitable investigations and when to refer. Dr Pipin Singh discusses the red flag symptoms to be aware of in patients presenting with eye pain. Dr Gill Adams provides an overview of the diagnosis and management of strabismus in childhood. Key learning points for GPs and nurses include how to screen children who are at-risk, and when to refer to ophthalmology services. 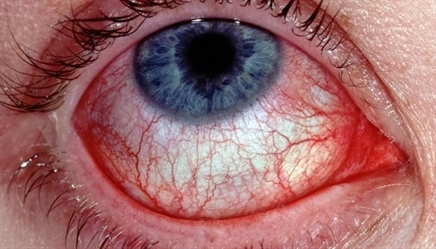 Presentations of eye disorders including adenoviral conjunctivitis, senile scleral translucency and pterygium are highlighted in this activity. Each is illustrated with photographs and key education points for GPs by Dr Phil Marazzi. Dr Nigel Stollery offers this module on differentiating between allergic and infective eye conditions, including conjunctivitis and iritis. This illustrated activity provides education for healthcare professionals on presentation, symptoms and management.